This is the very first soup I ever made when I arrived in Jordan. It is so simple to make and the basics are there. You must use the brown lentils, not the split red lentils. It is very tasty, satisfying and a great vegetarian meal. If you are vegetarian, you may consider substituting vegetable stock for the chicken stock listed in the recipe below. Use a large stock pot and heat the oil. Add in the chopped onion and parsley and saute' until the onion is tender. Add in the tomatoes and cook for 1 minute more. Add in the chicken stock, mint, lentils and lemon juice. Bring the pot to boil and reduce the heat to simmer for 30 minutes. Add in the bulgur and the broken rice and simmer for an additional 1 1/4 hours. Add the remaining ingredients and season to taste. Soup is traditionally a first course at any Middle Eastern table, but this soup can easily be a meal in itself. You may add in some chopped carrots for more variety. 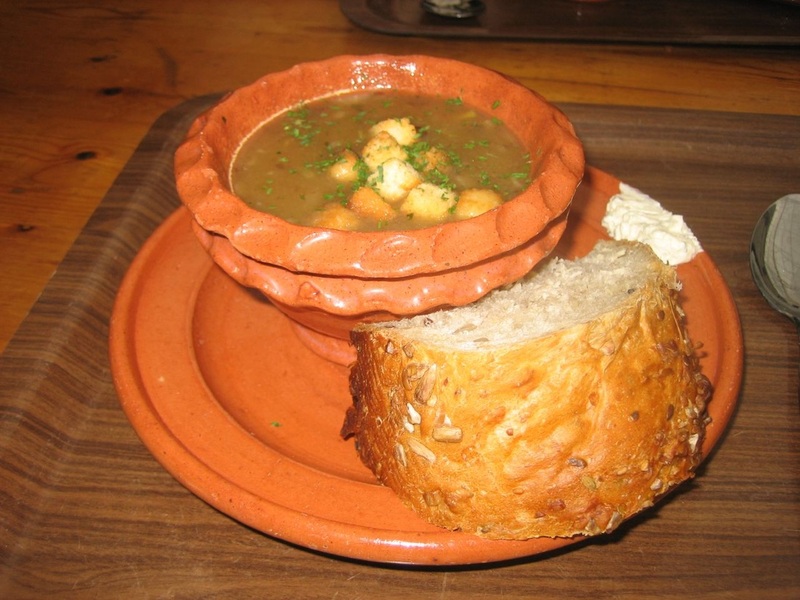 Serve this soup with big chunks of bread or traditional pita bread that is heated and served warm. To garnish the soup before serving add some chopped parsley on top.